Marchetta vows to ramp up the agency’s “fight” against invasive species such as the Asian clam and Eurasian milfoil while implementing a rigorous and costly boat inspection program aimed at preventing public enemies number one and two of the invasive species, zebra and quagga mussels, from reaching Lake Tahoe. This sort of vilification of species not native to a given area is common enough in both regulatory and scientific circles, and sometimes for good and obvious reasons, but a growing number of scientists are taking a fresh look at the issue of so-called invasive species, aquatic and otherwise, and asking new questions and challenging old assumptions. In 2011, Davis sparked a firestorm of controversy by co-authoring an article arguing species should be judged solely on their impact to the local ecosystem without regard to their origin. He said much of the characterization of non-native species since the 1980s erroneously claimed non-native species were harmful and destructive to ecosystems. Many biologists hit back with numerous examples, including one of the more famous—the brown tree snake, which has driven much of what was a diverse bird population on the tropical island of Guam to extinction. Other examples abound, including harmful fungi that decimate tree populations or migrating mosquitoes that carry harmful diseases like Zika. Davis and other prominent biologists began to argue that these instances were exceptions rather than the rule, particularly as tropical island ecosystems are proven to be especially and exceptionally vulnerable to species incursion. To superimpose these special cases on all ecosystems is a mistake, Davis argued, as many continental systems are able to withstand and integrate so-called invasive species seamlessly into the landscape. In some cases, Davis and other biologists are beginning to say these species may even provide a net benefit. Take the tamarisk tree, found throughout the American West, but originating in Europe and Asia. For some time, the tree was thought to outcompete native species in water-scarce ecosystems in the West due to its tendency to consume large amounts of water, particularly when found in clusters. However, some biologists now argue the plants not only fail to displace native plants, but actually augment the ecosystem by supplying critical habitat for a variety of bird species. Similarly, eucalyptus trees, an oft-maligned non-native tree species introduced to California to help augment the timber industry, acts as a preferred habitat for the endangered monarch butterfly. Consequently, many environmental activists are calling into question eucalyptus eradication projects scheduled by state and federal agencies throughout coastal California. For Davis, these projects, and the public money it takes to carry them out, is why reframing the narrative around invasive species is so critical. In other words, deciding whether a non-native species is invasive and thus bad for the overall ecosystem is more often an ethical decision than a scientific one, according to Davis. And he argues that given the amount of money spent on invasive species study, eradication and control, the public, the media and policymakers should challenge assumptions baked into the issue. At Lake Tahoe, enormous sums of money are spent each year on various programs related to non-native species. A combination of federal, state, local and private agencies have spent about $15.6 million on so-called invasive species programs since the inception of the Environmental Improvement Program in 1997. This includes control and monitoring projects, the removal of weeds from forest lands and a watercraft inspection program run by the TRPA that costs about $1.5 million every year. “Declaring a species as invasive is really an ethical decision, because it usually accompanies a large allocation of public money,” Davis says. When the clams die, their shells dry up and fragment and can scatter along the beach, creating a nuisance for beachgoers, according to the study. However, other scientific studies, including a recent one performed by Stanford University researchers, show Asian clams and other bi-valves, such as oysters or mussels, are essentially miniature water filtration systems, able to absorb pollutants such as fertilizers, herbicides, pharmaceuticals and flame retardants. 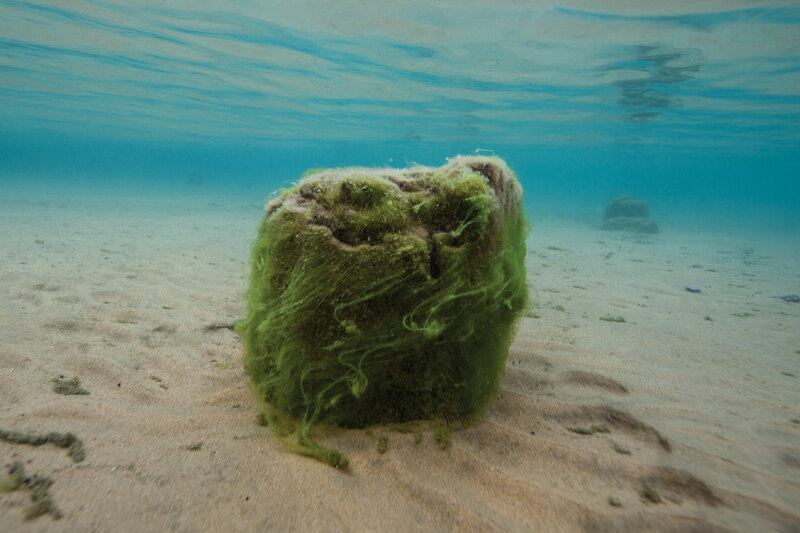 They also consume algae, another oft-identified culprit to nearshore aesthetics. All told, an argument for keeping Asian clams around rather than spending money on them could be made, but Wittmann says characterizing non-native species as beneficial without considering the multiplicity of complicated impacts to an ecosystem is too reductive, too simple. “You get this cascade of effects that isn’t quite natural,” Wittmann says, adding that the clams eat algae typically reserved for other native species, which subsequently alters the food web and may give rise to other non-native species, such as crayfish or warm-water fish. Moreover, fellow UNR researcher Annie Caires performed a study in 2012 showing invertebrates native to Lake Tahoe, including the Tahoe stonefly, the Tahoe blind amphipod and the Tahoe flatworm, among others, have suffered significant declines in population. “Invasive species can really knock the entire equilibrium out of whack,” Wittmann says. However, Wittmann acknowledges there has yet to be an extinction in Lake Tahoe due to competition from a non-native species, so the brown tree snake ruining bird populations in Guam comparison isn’t apt. For his part, Davis questions whether control of a non-native species is the best allocation of funds, especially when it is merely the relative abundance of the native species at stake, and not some catastrophic extinction event. However, as Marchetta points out in her column, there are other factors than the purely ecological to consider at Lake Tahoe, where recreation is so integral to its residents. Not only that, but outdoor recreation and Tahoe’s natural beauty is the magnet that attracts droves of tourists who help sustain businesses, jobs and ultimately investment in environmental programs. It is these economic and recreational considerations that have rendered Eurasian milfoil as the bane of Lake Tahoe for many scientists and policymakers. The non-native weed, introduced sometime in the 1980s, has completely infested the Tahoe Keys, a shoreline development in South Lake Tahoe, and spread to other areas of The Lake, including the iconic Emerald Bay. Controlling Eurasian milfoil and other invasive weeds in the Tahoe Keys costs the homeowners’ association in the neighborhood of $400,000 per year, although that amount is declining as officials introduce efficiencies into the control process, according to Rick Lind, aquatic invasive species program manager for the Tahoe Keys. For Lind, it’s important to control and maybe one day eradicate these noxious plants before they forever change Lake Tahoe’s clarity and ecosystem. Other California lakes, like Big Bear Lake and Clear Lake, have been overcome by infestations, which put a significant damper on aesthetics, recreation and the all-around attractiveness of the watershed. “We don’t want to wait, because these problems become insurmountable,” he says. Beyond the immediate economic harm to Tahoe Keys residents, the weeds are known to glom onto boat propellers with the potential to present a significant detriment to recreational boating and fishing in general at The Lake. But, there is another side to the story. 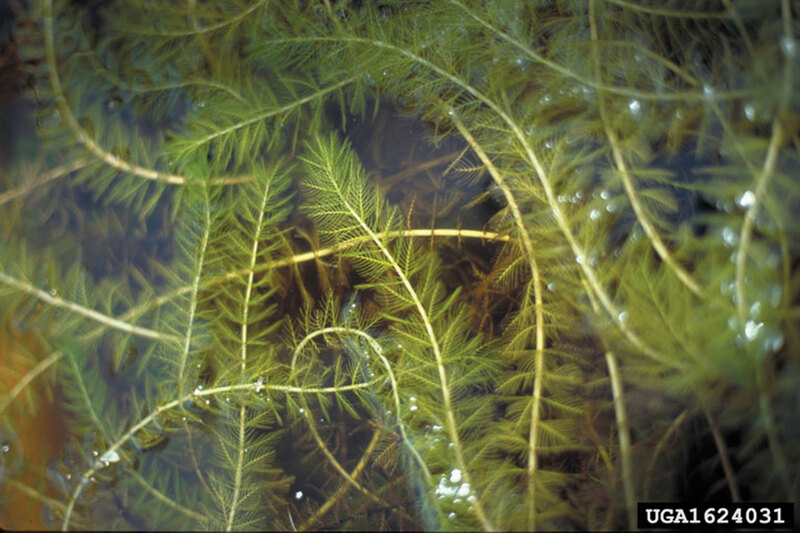 Increasingly, fisherman in Minnesota have begun to embrace milfoil, saying it provides fish with vital habitat and traps phosphorus, a major culprit in increased algae blooms and an oft-identified source of pollution in Lake Tahoe. For Davis, the point isn’t to fully criticize efforts to control milfoil or other potentially damaging non-natives. These efforts are clearly worthwhile and important in given instances, but he says a more honest reckoning with both the positive and negative impacts created by non-natives will create a better decision-making process more aligned with scientific values. “The benefits of these species are never acknowledged,” Davis says. As an example, while Lake Tahoe regulators shell out millions of dollars to prevent the incursion of zebra mussels into Lake Tahoe, two Cambridge University researchers performed a study that found bodies of water suffering from high phosphorus and nitrogen loading (like Lake Tahoe) should consider introducing zebra mussels into the ecosystem. Zebra mussels can help reverse eutrophication processes (the process of a clear lake turning cloudy) and enhance water clarity, and should be considered, especially when there is an absence of industrial uses on the water body, as zebra mussels’ most significant detriment is the clogging of pipes and other materials, the study says. “We conclude zebra mussels cultivation offers an attractive tool for managing nutrient-enriched reservoirs,” the study reads. 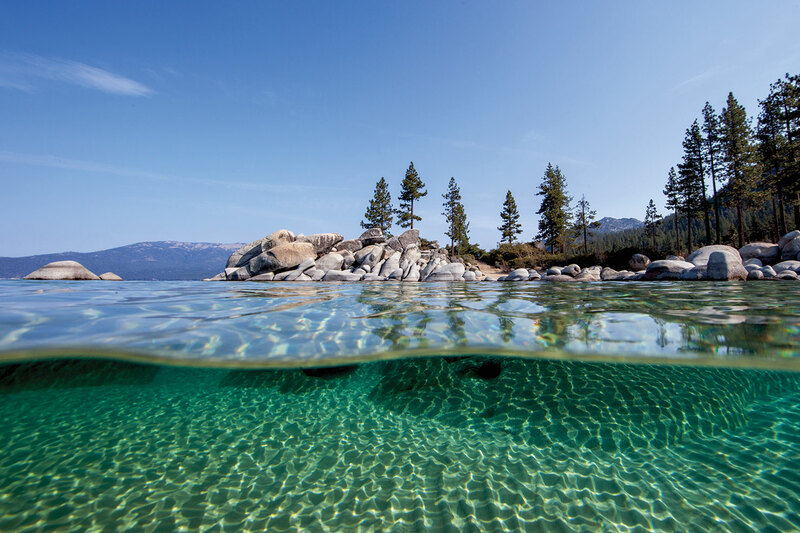 Obviously, Tahoe is not a reservoir, and Wittmann points out water clarity should not be the sole factor when deciding how to manage the species distribution in Lake Tahoe’s unique ecosystem. For Davis, scientific studies that incorporate the benefits and not simply the harm posed by so-called invasive species demonstrate that biology’s preoccupation with eradication and control of non-native species is often based more in biases and beliefs than in the objective consideration fundamental to good science. Wittmann, for her part, says she is familiar with Davis’ work and welcomes these broader public conversations around non-native species—conversations that include scientists, policymakers and ordinary citizens armed with a more complete view of the entire picture of species distribution. 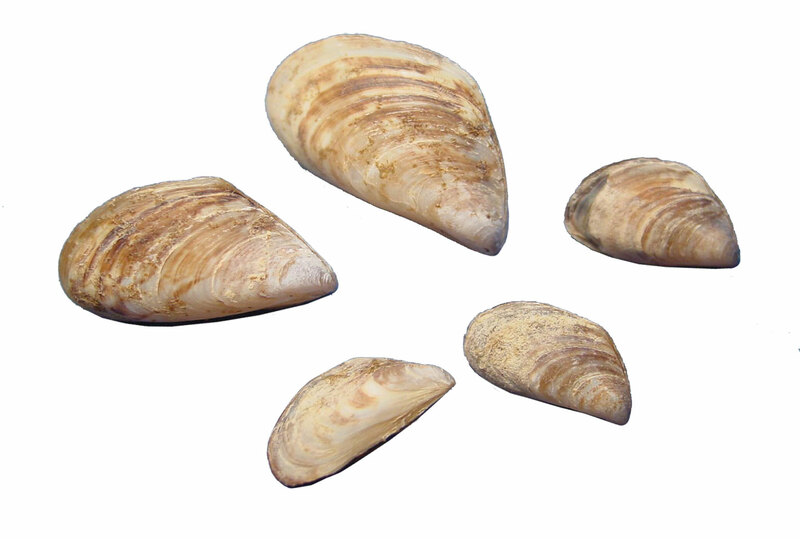 In fact, the control program authored by Wittmann and Chandra recommended not to pursue any further control of Asian clams, citing the infeasibility of some previously attempted control methods. If the raging debate about whether to use herbicides on milfoil in the Tahoe Keys is any indication, Tahoe residents are already performing cost-benefit analysis on various control methods. In searching for an answer, Davis and Wittmann both assert management decision, control decision, the how and where, and how much must be taken case by case. Editor’s note: This article has been updated to reflect the fact that public and private agencies have spent $15.6 million on invasive species over the past two decades.